Disrupting innovation, which could be compared to television replacing radio, finds fertile ground in the developing countries, write Gauri Khandekar and Thomas Wyns. Gauri Khandekar and Tomas Wyns are researchers at the Institute of European Studies at the Brussels Free University. Whether its climate change, the economy, resource security, accelerated automation or others, contemporary societal challenges have become more profound and transnational than our capability to address them effectively, especially within the confines of state borders. Unprecedented global challenges of colossal scale require proactive solutions that are radical, socially acceptable and permeable through borders. Waiting for solutions or innovations to happen by themselves is no longer an option either; it may be time to engineer disruptive, innovative changes to address the major challenges of our times. According to the theory conceived by Dr Clayton Christensen, disruptive innovation is an innovative new entrant – product or service – that shakes up a market by displacing established competitors, even causing entire industries to reshape. Think television replacing radio for entertainment or Google replacing libraries. As such, the disruption is innate to the innovative product or service from which it emerges. Is it possible to have an economic or societal disruption that is not innate to or emerging from the new products or services, but that has been purposefully engineered with a direction and mission by seeking to solve an economic development problem? In 2007, Vodafone for Safaricom and Vodacom launched M-Pesa, a revolutionary mobile phone based payment and money transfer service in Kenya. The service today has spread to Tanzania, Afghanistan, South Africa, India and even Romania. 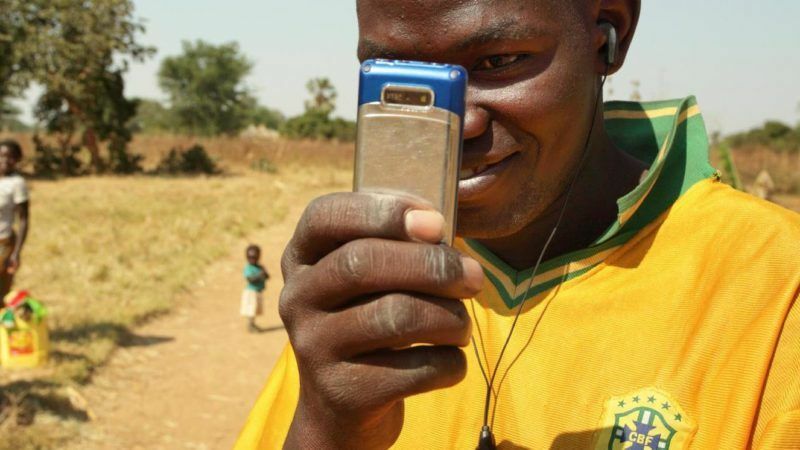 Little is known though that the most successful mobile-phone-based financial service in the developing world which gave millions access to the formal financial system and reduced crime in otherwise largely cash-based societies was a programme funded by Department for International Development UK (DFID). While M-Pesa was not the first such mobile based financial transfer service, DFID together with Vodafone, managed to create a disruptive innovation that not only revolutionised a sector but provided social empowerment. This example shows a disruptive innovation that is not innate but created or engineered by the public sector in cooperation with private enterprises. MPesa is not the only example. A similar, recent example is Indian Prime Minister Narendra Modi’s Affordable LEDs for All programme launched in 2015 as the world’s largest LED programme that aims to replace 770 million incandescent bulbs in India with LEDs by 2019, leading to an annual estimated savings of over 100 million kWh and $5.9 billion in electricity bills. It is also bringing down the cost of LED bulbs fivefold (from Rs 350 to Rs 50) and hence truly disrupting the market. It is a great example of disruptive innovation that has had an impact on sustainable development, urbanisation, economy, environment, and social empowerment. The potential power of engineered disruptive innovations can also be seen through some spectacular serendipitous disruptions that came as an unintended side effect of public and private initiatives. Between 2000 and 2016 the price of solar PV (per Watt capacity) dropped from around $3 to less than $0.5 causing a disruptive change in national and regional energy markets. This disruption was caused by the uncoordinated actions of two countries. German renewable energy policies generated an increasing demand for solar PV, which led to China easily and cost-effectively ramping up manufacturing of these solar panels. The consequence of this was a virtuous cycle of price drops and demand increase. A similar case is related to the stringent air quality laws in California. When first introduced in the 80s no American car manufacturer could easily meet these standards. Japanese manufacturers seized the opportunity to gain market share in the US and developed smaller and efficient cars. This cycle of stronger standards led to innovation which eventually led to cars such as the Toyota Prius Hybrid and the Nissan Leaf EV finally enabling the electric vehicle disruption we’re currently seeing advanced by Californian car maker Tesla. These examples show that engineered disruptive innovation can offer the most potent, large-scale solutions to the biggest challenges of our time. Till now, most disruptive innovation has been engineered but serendipitously and not as a mission oriented act. Governments and businesses need to now be smarter and proactively seek to disrupt the status quo in a bid to tackle pressing contemporary global problems. How does “engineered” disruptive innovation further the existing theory? First of all, it is important to look beyond disruption of a market alone by means of an innovative product or service. Disruptive innovation can have impacts beyond the market alone and can hence be a transformative phenomenon for entire societies. Secondly, the disruption does not require the latest state-of-the-art technology but can transpire with existing services and products. Thirdly, the engineered disruption will in most cases, especially if it is mission oriented, require a leading role from the public sector but working in close cooperation with private enterprises. Finally, disruptive innovation can be engineered in markets other than the domestic one i.e. foreign markets! Let there be no doubt, major societal challenges in the 21st century will require many disruptive innovations. Addressing climate change, for instance, a daunting challenge of global proportions, requiring major disruptions in almost all sectors of the economy (e.g. energy, transport, agricultural and manufacturing systems). Countries with advanced green technologies or industries could tap into the major markets of industrialising countries. Bilateral trade and investment agreements, in particular, can become more mission oriented by making a low-carbon transition not an afterthought but a core element. The synergies such mission oriented plans could generate might, as in the case of German solar, accelerate the transition to a sustainable global economy. Disruptive innovation is a highly interesting phenomenon largely for the degree of social acceptance it receives and the boundaries it effortlessly seems to transcend! Understanding engineered disruptive innovation can lead to more impact-oriented international trade deals, better social action, energy efficiency and the proliferation of clean technologies, faster action towards sustainable development and so on. The classical model is insufficient and reactive. We need engineered disruptive innovation for big societal challenges such as climate change or sustainable development.